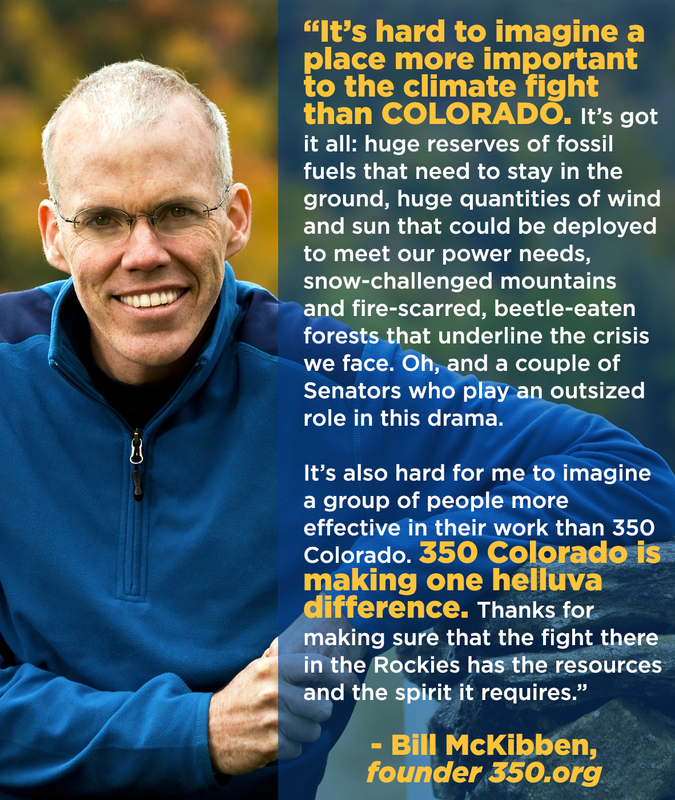 350 Colorado strongly promotes renewable energy, energy efficiency and conservation. We support community efforts, investments and policies that promote the wise use of energy and the transition to clean renewable energy. For example, our 350 Boulder County Team has actively supported Boulder’s efforts to “municipalize” – to create a locally-owned electric utility that is sourced primarily from renewable energy and prioritizes local renewables and incentivizing energy efficiency. Despite being outspent 10-1 by the investor-owned utility that currently serves Boulder residents and businesses in campaigns, Boulder residents have voted in multiple elections to explore municipalization options. Modelling so far indicates that Boulder can be powered by 70% renewable energy at comparable rates and reliability levels! This is an energy future worth fighting for! You can read more here about coalition efforts for clean local power – Empower Our Future and Renewables Yes!